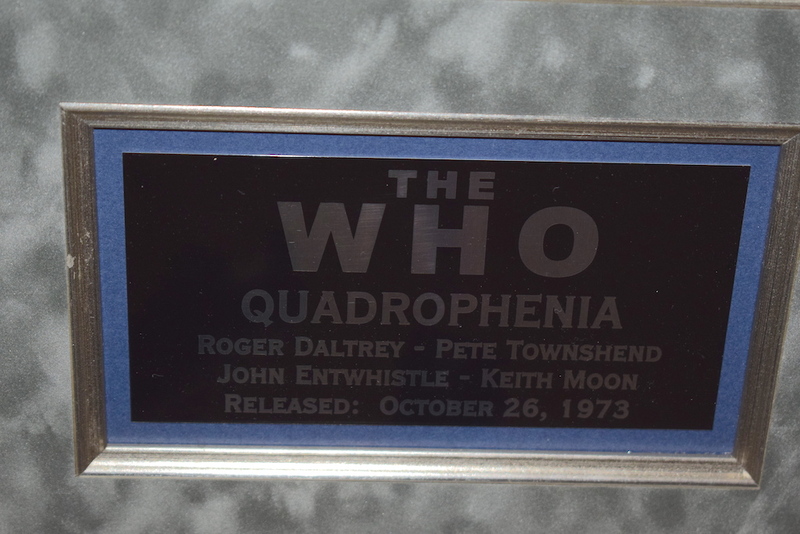 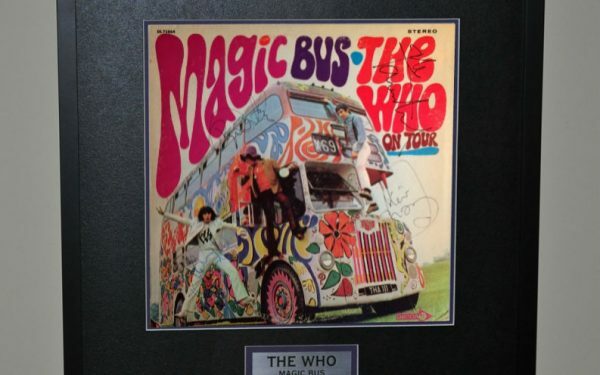 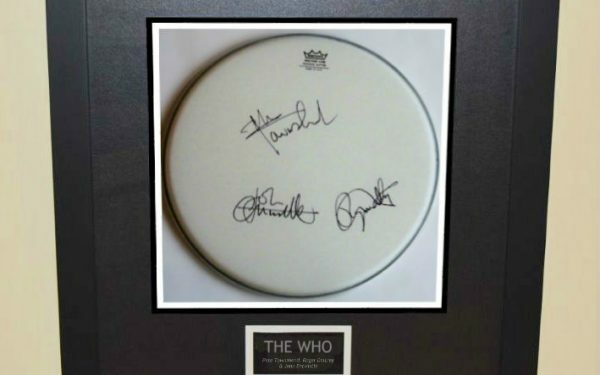 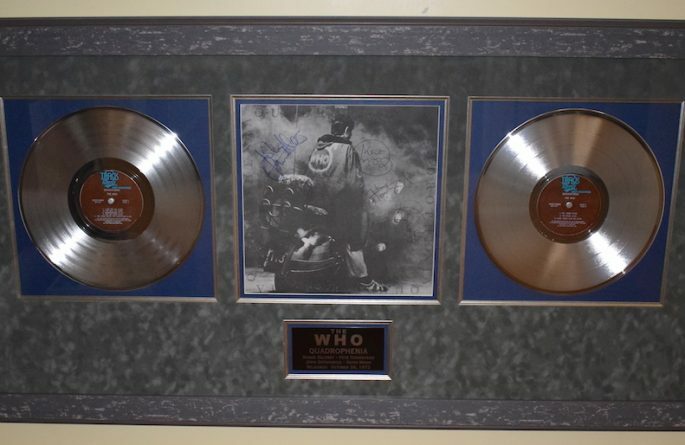 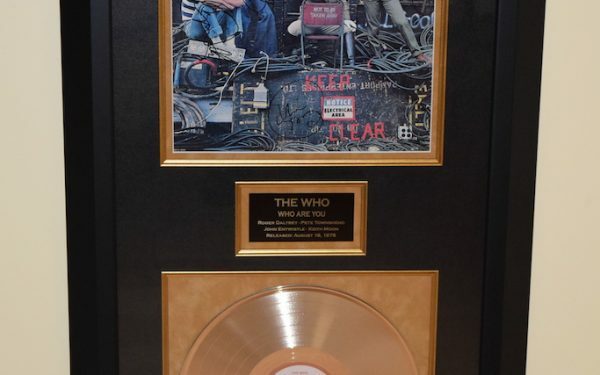 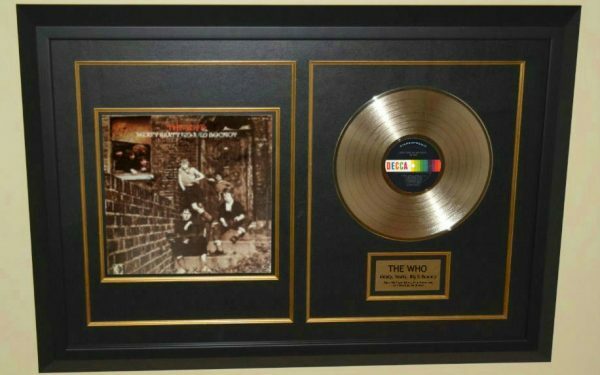 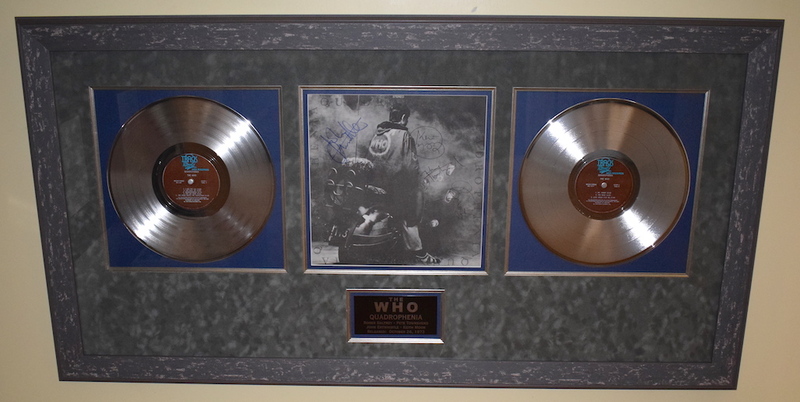 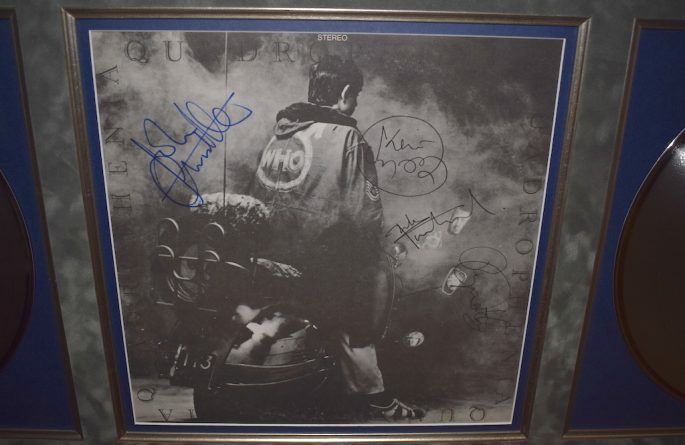 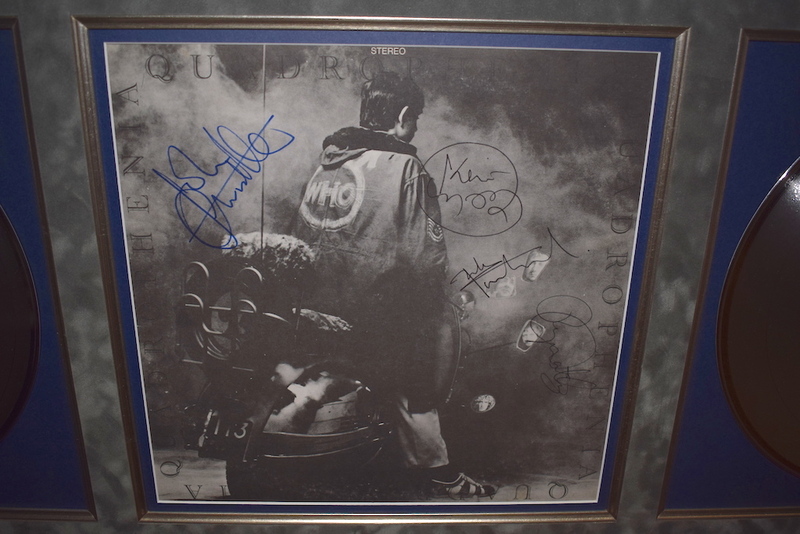 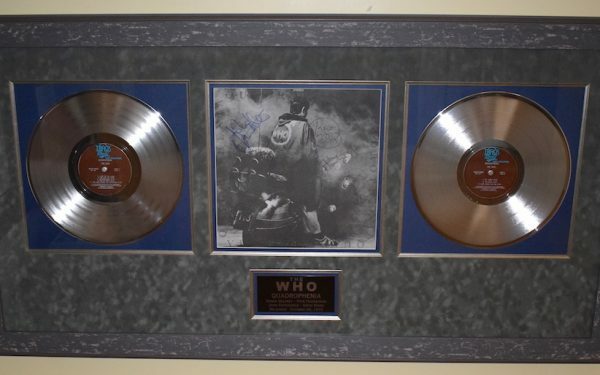 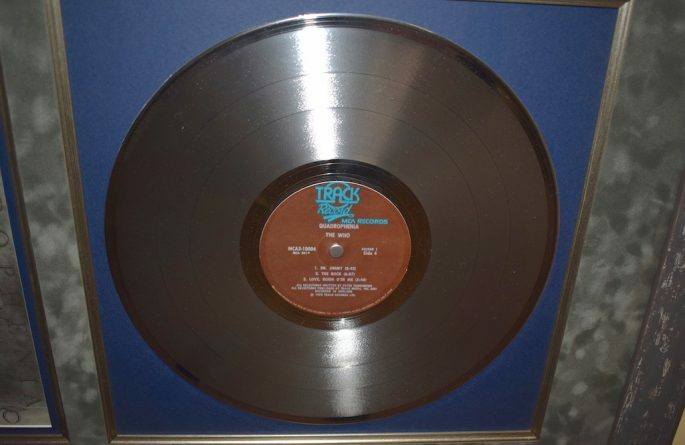 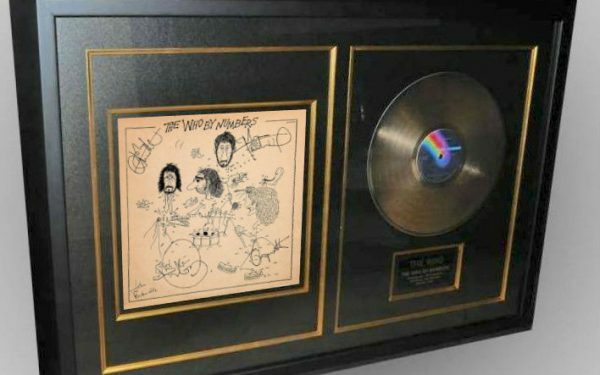 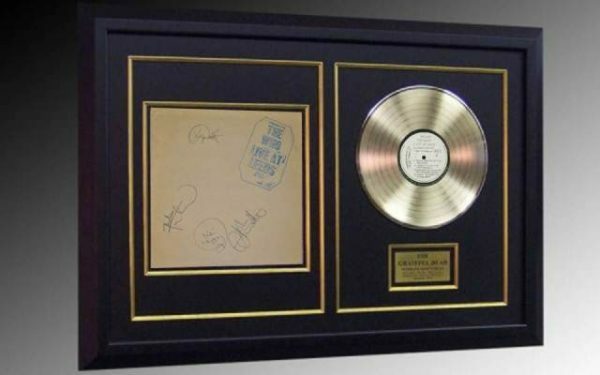 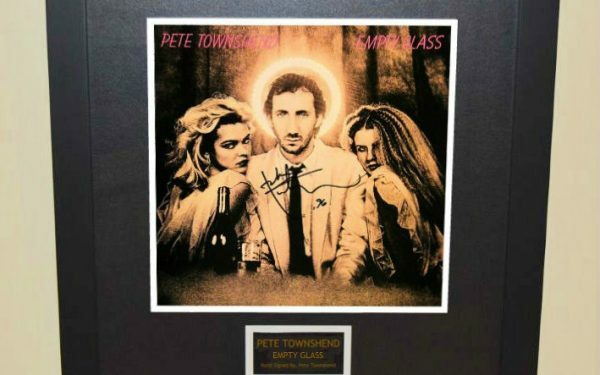 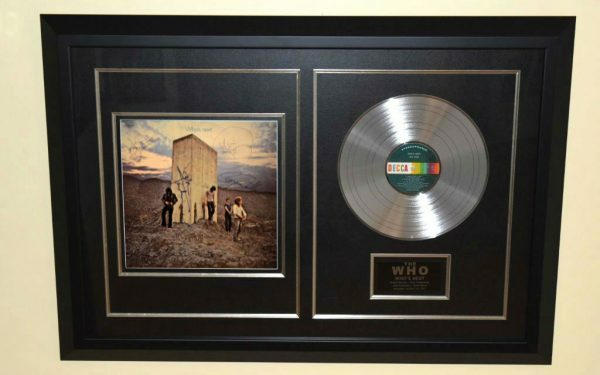 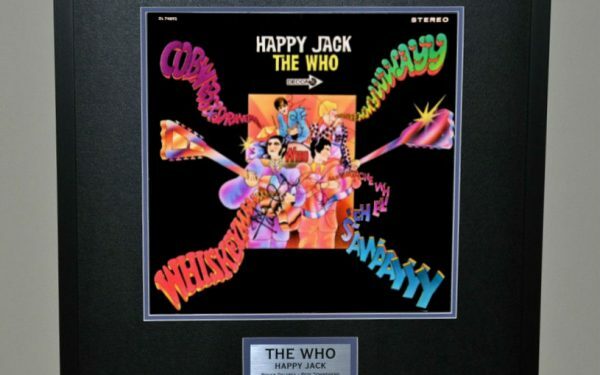 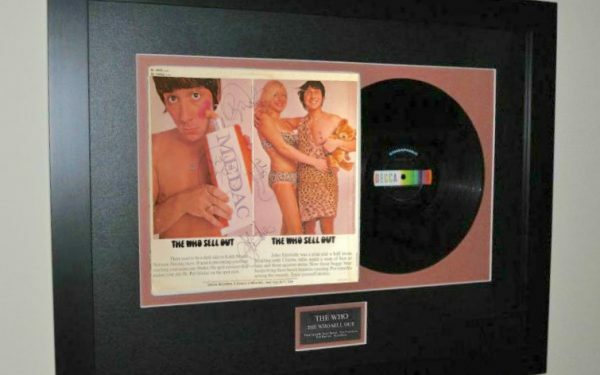 Hand signed by Roger Daltrey, Pete Townshend, John Entwistle, Keith Moon. 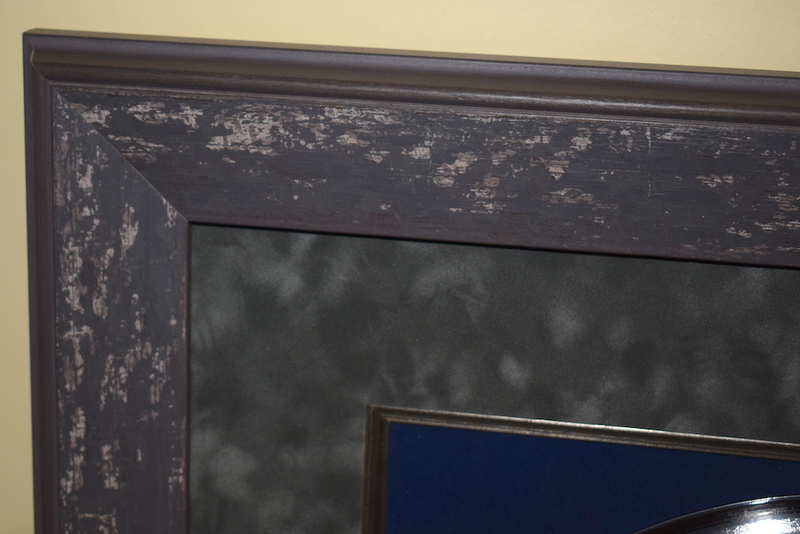 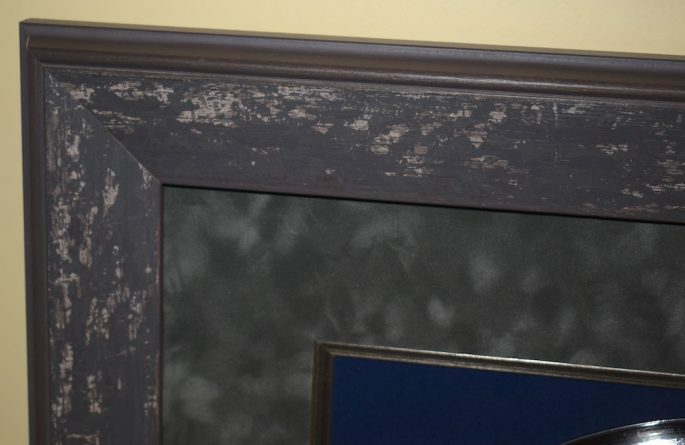 Custom Designed with Grey and Blue Suede and an Incredible Perfectly Complimenting Multi Colored Hard Wood Frame. 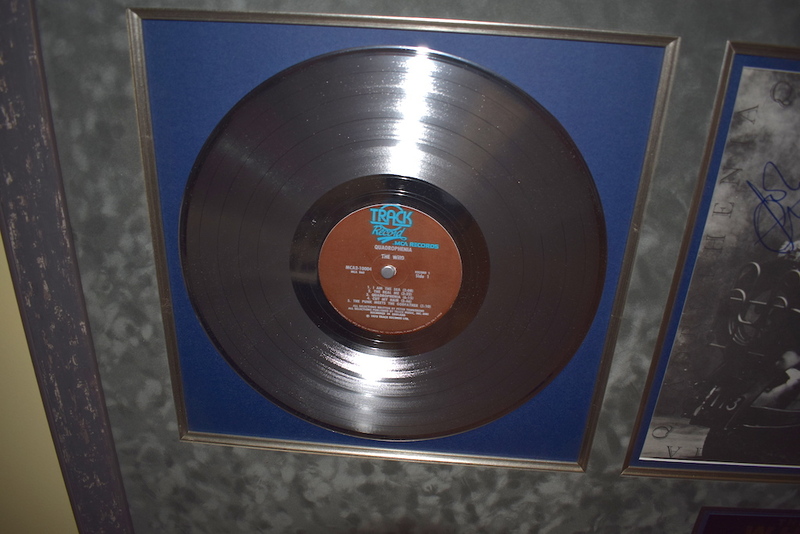 Inculded are two Genuine RIAA Platinum Award Albums.